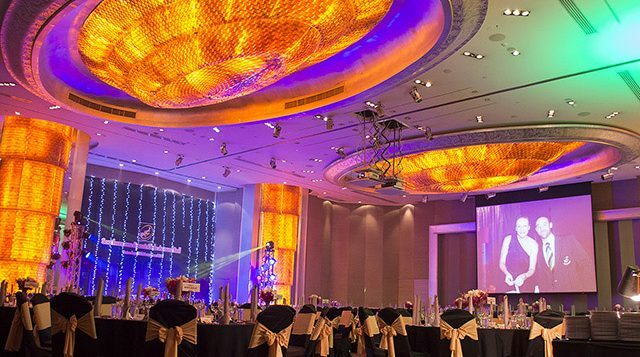 A sensational Ballroom in Bangkok, perfect for your next large event or seminar. This Bangkok Hotel offers a versatile and adaptable Ballroom in Bangkok that can suite the needs of all major events. Equiped with the latest technology. The Grand Ballroom offers a modern finis and is just under 500 sq m (5,382 sq ft), with an a extensive pre-function and break out space for events. 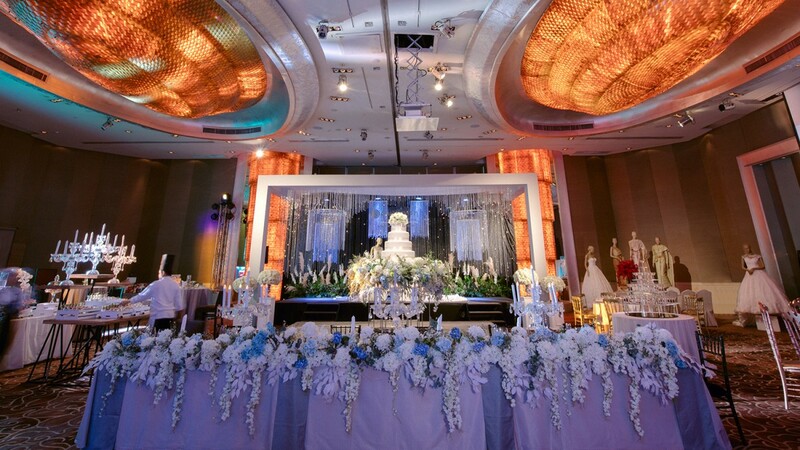 An ideal choice for those seeking a large scale ballroom in Bangkok, the Grand Ballroom can accommodate between 90 and 580 guests, with plenty of room for dancing, dining and mingling. Product launches, weddings, company parties… U-shaped, buffet style, standing-room only… Every imaginable set-up is possible. With a similar design to the Grand Ballroom, our Junior Ballroom’s dimensions are 26x19x3.4 meters or, just under 500 sq m (5,382 sq ft). It can also be converted into 3 individual function rooms, suitable for meetings or events that need highly configurable venue layout, flexible capacity or require extra time for setting up. Whether you’re looking for a ballroom in Bangkok for corporate conferences, product launching events or a private dinner and dance parties, Pullman Bangkok Grande Sukhumvit’s Junior Ballroom is guaranteed to impress. Luxury design coupled with a highly configurable layout makes it an ideal event venue of hosting from 40 to 350 guests. For IT solution, this Junior Ballroom in Bangkok is fully equipped with cutting-edge technology, free Wi-Fi as well as modern audio visual system making it a perfect venue for business meetings in Bangkok. The Pullman Bangkok Grande Sukhumvit also offers creative food and beverage services from themed coffee breaks to elegant gala dinner. A dedicated banquet team is always on hand to help you organise your event from the beginning to debriefing. We sure to deliver the best meeting experience every time you put your meetings at our Junior Ballroom.